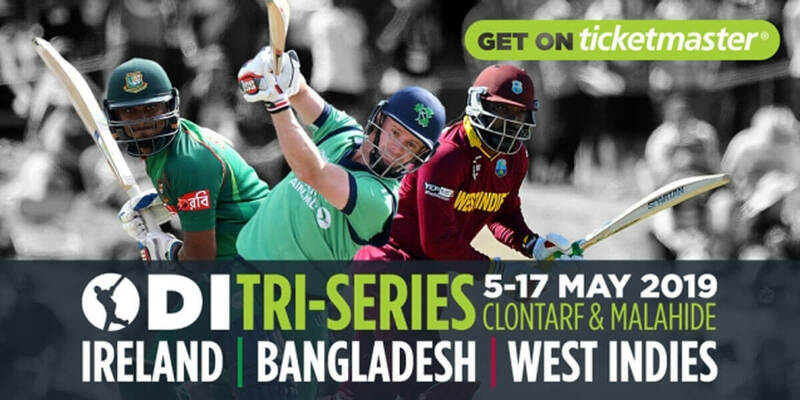 ODI Tri-Series in Dublin – Ireland, Bangladesh and West Indies will battle it out in some top-class international cricket action in Clontarf and Malahide Cricket Clubs, May 5th – 17th 2019. It's set to be a big year for Irish cricket – be there and ensure you're #BackingGreen! * All matches are scheduled to start at 10.45am each day. For ticket packages click link below.